Utilising nutrient rich, active ingredients, Daily Solution Invigorate Body Duo provides the skin with instant, deep hydration. 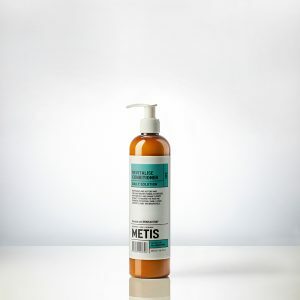 Gently cleansing, purifying and hydrating for healthier looking skin that is soft and invigorated. 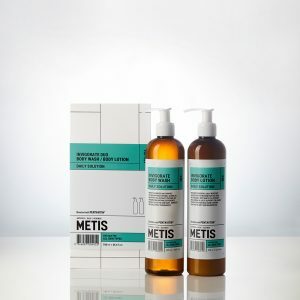 Utilising nutrient-rich, active ingredients, Daily Solution Revitalise Hair Duo supports the natural function and integrity of the hair and scalp. It gently cleanses, protects and nourishes for superior hair health. This kit contains your daily dose of marine-based actives and essential extracts to revive and rehydrate dull, lacklustre skin and hair. 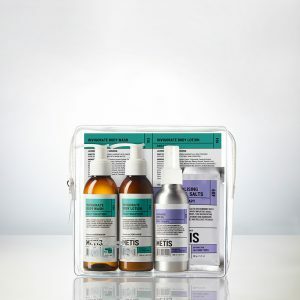 The Essential Body Set is a hydrating and rejuvenating pack to ease tired muscles and nourish parched skin. Provides essential daily moisture and instant hydration for the skin. Antioxidant-rich White Tea extract and Jojoba Oil help support collagen production for healthier looking skin that is soft and invigorated. 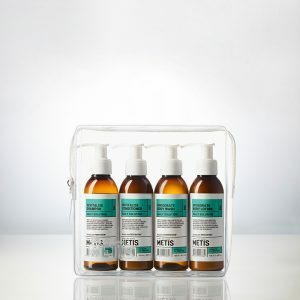 Gently yet effectively cleanses away impurities and product build-up, revitalising hair’s natural lustre and vibrancy. Formulated with Sea Kelp and Orange Flower Extract, it leaves hair feeling stronger and smoother. Revitalises and softens hair. This lightweight formula is infused with Sea Kelp and Orange Flower extract to nourish the hair and promote its natural shine. Leaves hair soft, shiny and manageable. Gently cleanses and purifies the skin without drying. Jojoba Oil and White Tea extract provide an invigorating bathing experience which leaves the skin soft, smooth and delicately fragranced.